On January 4, 2019, director, Adam Robitel, released a film that not only brings suspense, mystery, and horror to theaters for audiences to enjoy, but it also brings out their worst nightmare. Escape Room is a thriller about six random people who become teammates to participate in an escape room for the chance to win 10,000 dollars if they win. 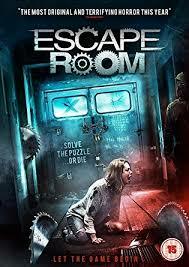 What seems like a fun little puzzle game at first soon turns into a fight for survival and freedom as the room activates a death trap if the players do not complete the room. In the beginning, we find out little about these players because they were chosen randomly to win some money and participate. As the story progresses, we quickly find out more about who they are and why they were chosen. This movie leaves us surprised at the events that occurred and leaves us at the edge of our seat waiting to see what else happens. This horror really puts a new chill into us and I definitely recommend for you guys to watch it.